Having stepped behind the decks supporting the likes of FISHER, Duke Dumont and Jax Jones over the past year, Airwolf has been the go-to DJ when the cream of international dance music hit the country. A stand-out ‘one to watch’ for 2019, Airwolf has also toured around the country supporting Crooked Colours, and is now making it bang around the country on his own headline tour. Hitting the Spotify Viral charts in both Australia and Canada with his house anthems, Airwolf has also picked up heavyweight DJ support from the likes of MK, David Guetta, Claude VonStroke, Rudimental, Cassius, Sinden and Idris Elba. 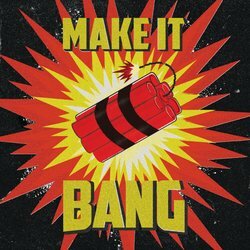 Airwolf has just delivered his brand new tech-house thumper ‘Make It Bang’, and the forecast is looking HOT!